Welcome to a Caribbean paradise! Sandals Montego Bay now has opened Latitudes, the over the water bar with over the water hammocks and endless over the water sunsets. Steps from the shore this over the water feature is amazing! The Oleander Room - Dining with a view! Sandals Montego Bay, for couples only, is located 5 minutes from the airport. 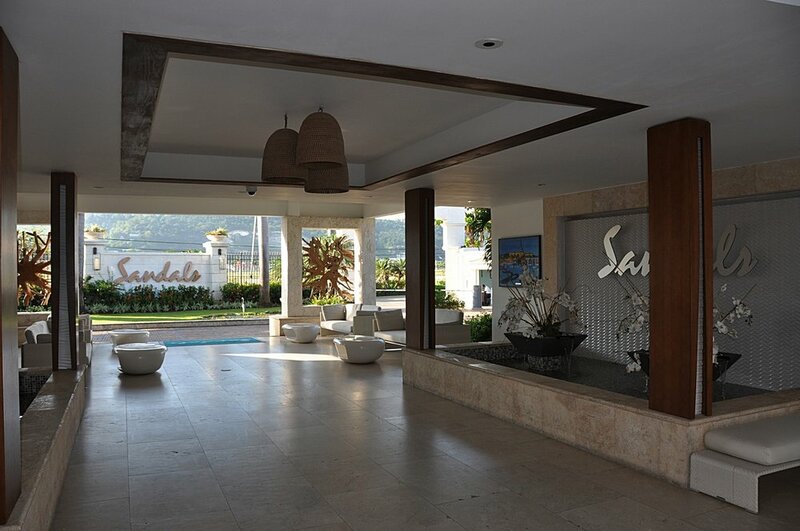 This is Sandals flagship property and it has evolved into the most amazingly beautiful, beachfront resort. It is open, airy and bright from the moment you walk into the lobby until you leave. Sandals Montego Bay, Sandals Royal Caribbean, and Sandals Inn are in close proximity of one another giving you the stay at one and play at all three option. They say that the worst thing about Sandals Montego Bay is that it is close to the airport and the BEST thing is that its close to the airport. A 7-night stay turns into feeling like a full 8 days because when you get your bags at the airport you are on the amazing white sandy beach of Sandals Montego Bay within 1 hour and you don’t depart until the last moment. We can say from experience that you notice the planes the first few times they fly overhead. After that the sun, sand, romance, and fun take over. What planes? Sandals Montego Bay has the most returned guests because of the fun atmosphere and luxury resort. Destination Wedding and ReTie the Knot couples love this location for ceremonies. This is the only resort with an air conditioned chapel on property where local clergy can perform the ceremony. The property also has a meeting/banquet facility. 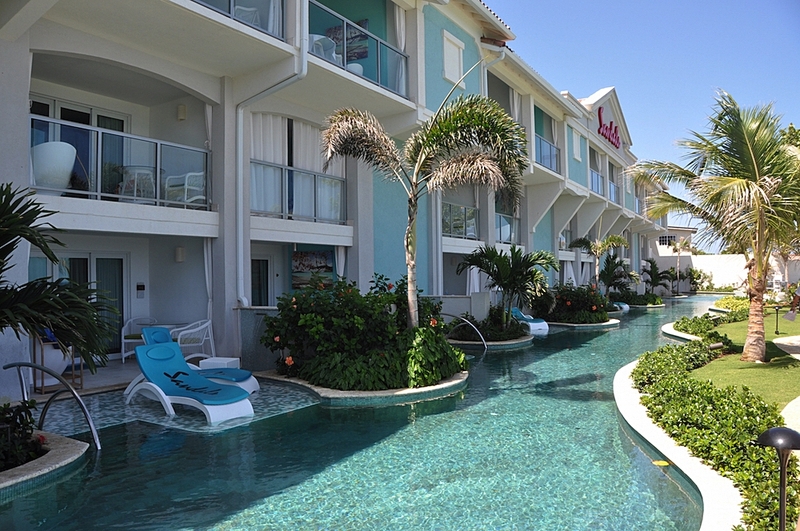 This beautiful resort was the first Sandals property and it continues to amaze and delight. The newly built Romeo & Juliet 1 Bedroom Butler Villa Suite is another example of the ultimate in luxury. These two-room suites, three if you want to count the sensual spa bath, are right on the beach and afford you unbelievable quiet and privacy. Open the sliding doors from your king size bedroom to look out into your living room which opens wide to the white sand beach and turquoise water beyond. Nothing obscures your view. The new Oceanfront Swim-up suites are also stunning. The ground floor rooms walkout to a winding river pool. Not only that, couples share a bottle of champagne while lounging in their private tranquility tub outside. Simply close the outdoor privacy curtains and you are alone with the stars and sounds of the Caribbean evening. Bliss.